Last week, we wrote about how women had dominated local races after Alaska voters picked female candidates over male candidates in two out of three races. That story came with an asterisk as a few of those races–particularly the race of Marna Sanford for the Fairbanks North Star Borough’s Assembly–were too close to call. Election day left Sanford with a razor-thin 52-vote lead over Sam Tuck for the open seat on the Fairbanks North Star Borough Assembly. She’d have to wait until today to see if the roughly 2,100 absentee and question ballots would swing the race in her favor. Typically those votes swing in favor of progressive candidates, but we had heard enough anecdotal evidence to make people worry that there could be quite a few absentee ballots coming in from the very conservative North Pole area. Those fears ultimately ended up being misplaced. Today’s count puts Sanford well ahead with a 376-vote, 3-point lead over Tuck. 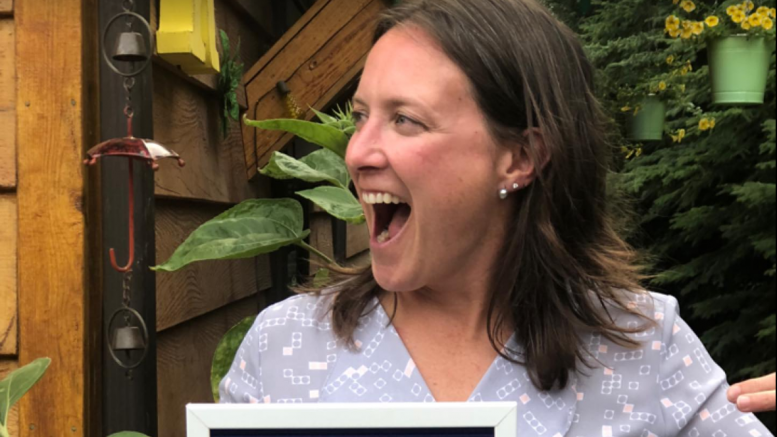 Her victory makes her the third woman elected to the Fairbanks Assembly in this election cycle, along with Liz Lyke and Leah Berman Williams. The three will join Assemblywoman Angela Major in shifting the gender balance of the 9-person body to the closest it’s ever been to accurately representing the gender balance of the borough. 1 Comment on "It’s official. Marna Sanford secures victory in close Fairbanks Borough race"